That must have been fun to watch – I think they must need a lot of fish – and frogs and whatever else – to keep going! They do eat a lot, when the fish is small When they catch a bigger fish, they may hold off a little bit, but not for too long. Wonderful photos. 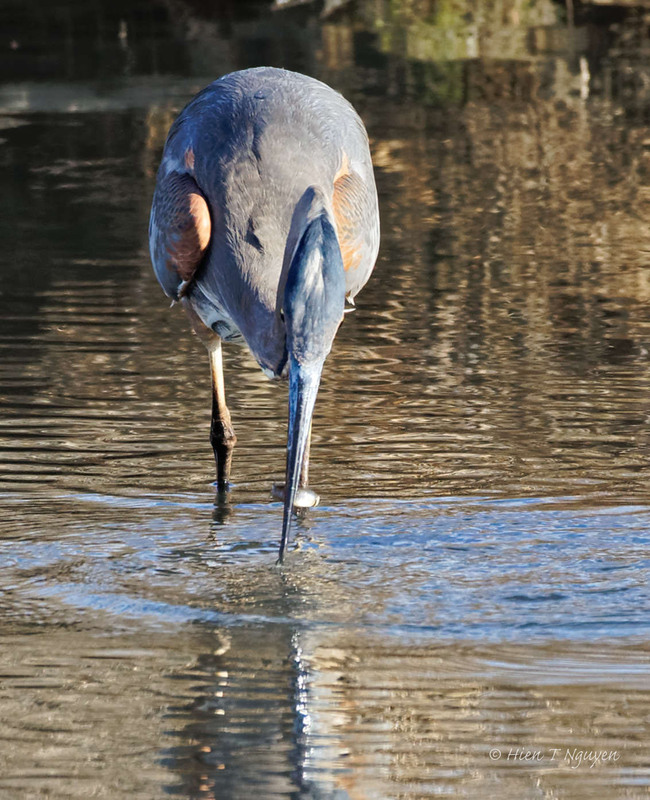 I love the reflections in the water in juxtaposition to the crispness of the bird. Glad you like them, Katelon! 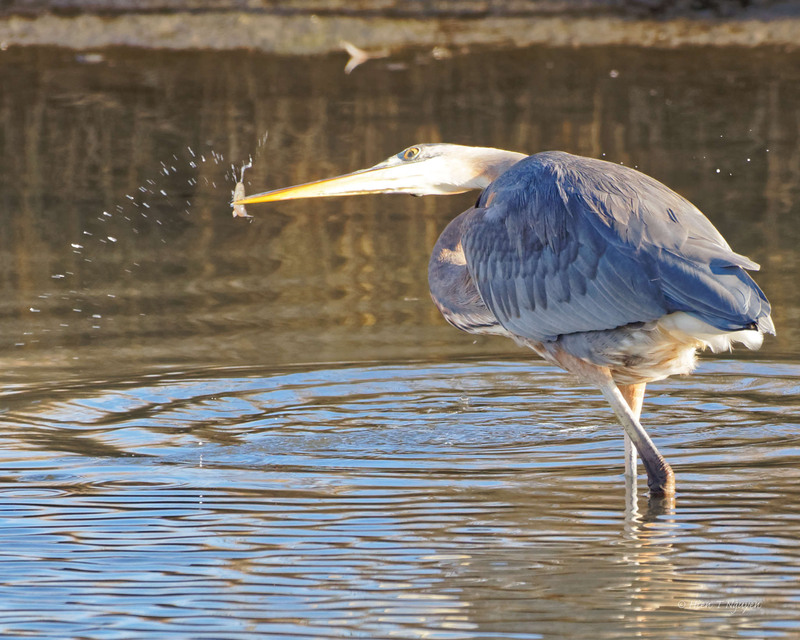 Excellent captures of the heron catching its meals! 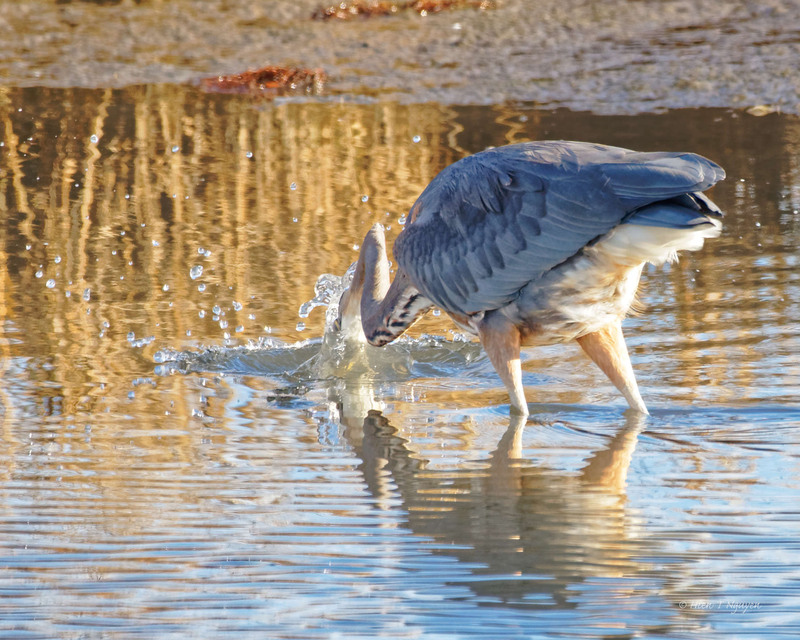 One thing about great blue herons, they’re not fussy eaters in any way. They’ll eat about anything that doesn’t eat them first, large or small. Thank you Jerry. 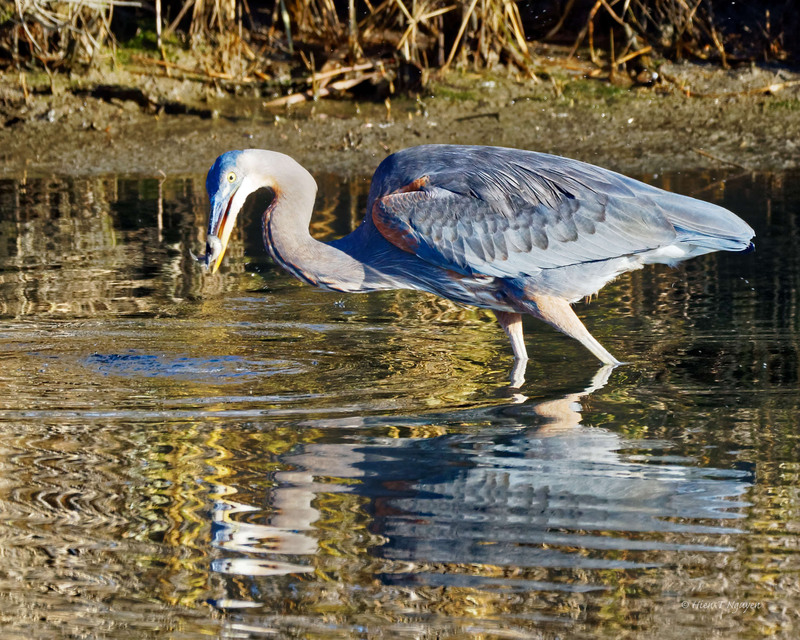 Those Great Blue Herons are so big, what other bird would pose a threat to them? I’m sure that an adult bald eagle would have no trouble dispatching a great blue heron, and great horned owls possibly. 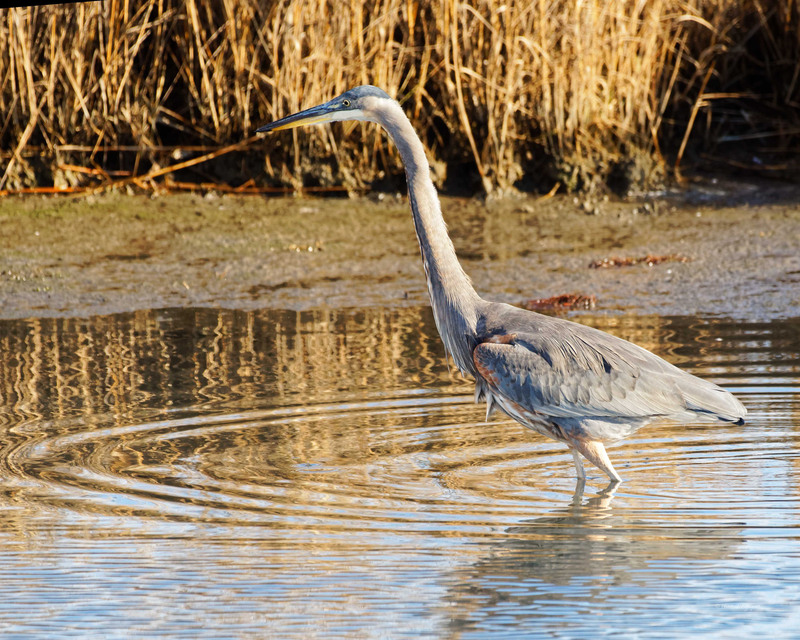 Herons are tall and gangly, but they really aren’t very heavy. Jerry, you are right of course! That they are, Cheryl. Thank you for commenting.